I’ve been a huge supporter of the mission of Habitat for Humanity for many years, but this was the first year I’ve been a part of the National Woman Build Week where all volunteers are. . . you guessed it, women! Since I’ve done most of my volunteer work through Structures Building Company, this was the first time I was going to experience it on a completely different level. 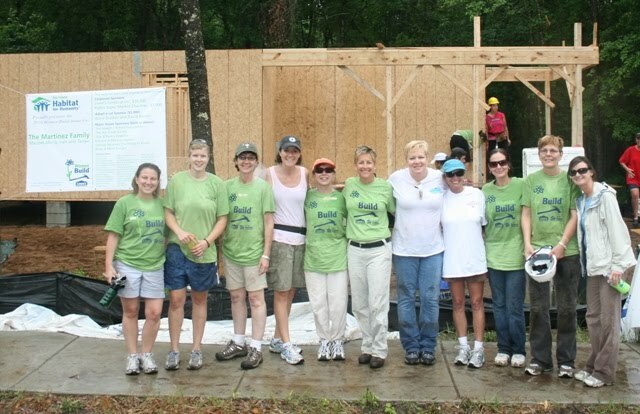 The biggest difference was, (for the safety of the volunteers) no power tools were allowed. You think to yourself, “no big deal”. . . but anyone in the industry knows that a switch like that takes framing to a completely different level and time schedule, slightly different when you’re using hammers and nails as opposed to nail guns. Did that deter any of the woman who came out to work on the framing? No Way! We all went at it with gusto! 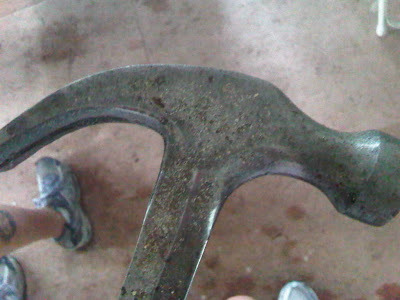 I have to admit, it was quite humorous as you looked around to take in the different “hammering styles”. You saw the “two handed swing”, the “right up on the neck of the hammer to get the most ump” and one of my favorites was, Tori Stein, of Atlantic Builders Inc., who insisted that this side of the hammer had better coverage to hit the head of the nail. No worries, Tori made up for anything she didn’t bring to the workday by bring a Lead Carpenter Morgan who was THE BEST female volunteer! Morgan truly knew what in the world she was doing! (of course Tori knows how to really swing a hammer but as you can see, we were all determined to have humor and fun incorporated into our hard work! This home is being built for the Martinez Family – Maribel is a single mother of three, Maria, Ivan and Tonya. Maria is currently serving in the Marines, Ivan will graduate from high school this year and Tonya was just accepted into the Charleston Collegiate High School! It was fun to have just a small part in this exciting journey for this incredible family! 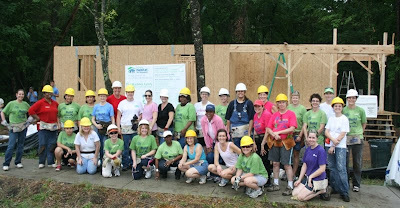 I’m so glad the Charleston Trident Home Builders Association (CTHBA) gathered up stellar women, near and far to come out for this opportunity! It’s great to be a part of a company and the CTHBA, which places a huge value on the community and actively looks for opportunities to bring our hands and tools to the table!